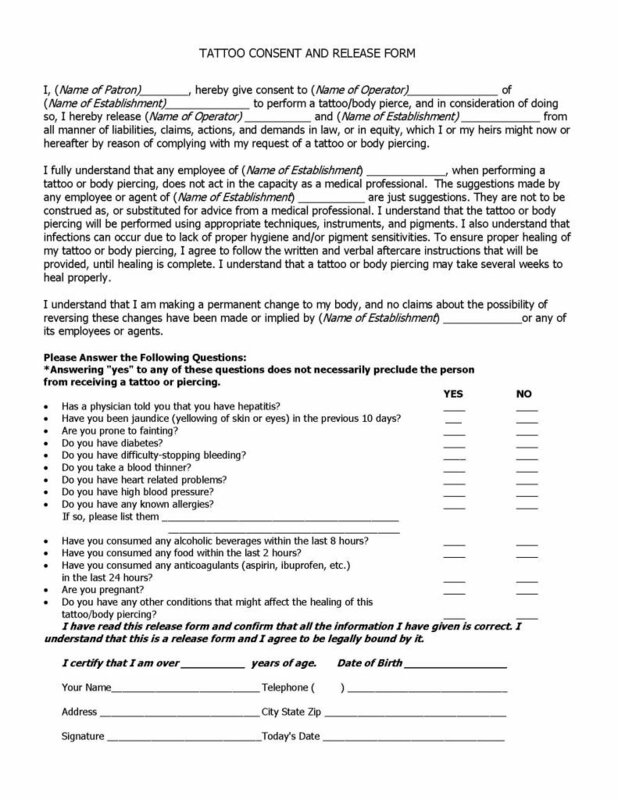 The tattoo consent and release form is a document that is designed to hold a tattoo artist and their business, harmless of legalities with regard to the body art and/or body piercings imposed upon the client’s body, with their express signed permission. All fields in this document are required to be completed. The client must answer a series of questions to ensure the safety of the artist, the business establishment,the establishments equipment and other clients as well the client, as stated on the form. All questions must be answered in a yes or no fashion. Tatroos and piercings are capable of posing health threats if after care is not strictly used as stated by the artist and/or their employees. 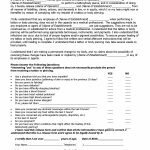 The document must be carefully reviewed prior to application of signature. No minor child, under the age of 18 years, may acquire tatoos or piercings without the signed document from a parent or guardian.